Ever thought about who sketches those trail maps you rely on so heavily at ski resorts around the United States? We’ll venture to say you haven’t. Maybe all that usually comes to mind as you slide off the ski lift is that the image ahead of you is simply a digitized version of an aerial photo. 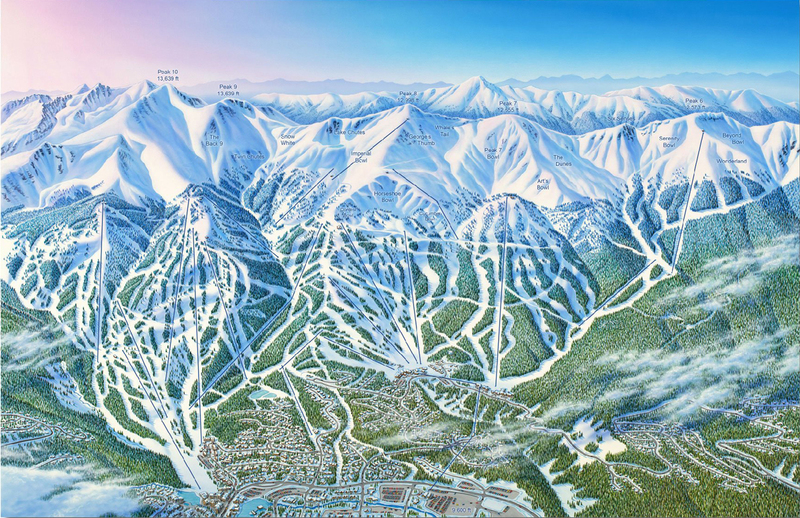 Meet James Niehues, the Denver-based artist who draws and hand-paints snow trails for resorts around the world. His life’s work guides skiers down mountains at nearly 200 resorts on five separate continents. In his 30-year career, he’s worked with clients such as Breckenridge in Colorado, Whistler Blackcomb in Canada, Mount Snow in Vermont, Whakapapa in New Zealand, and Portillo in Chile. According to Outside, Niehues currently aims to publish a book detailing the many maps he’s completed since beginning his work in 1988. He’s raising money for the legacy project in a Kickstarter campaign, which ends tomorrow. Niehues told Outside that the idea for the book has been top of mind since the mid-nineties, but he’s just now pursuing it after expanding his portfolio of projects. Each one of them is deeply personal and takes time, he said, averaging three months to complete. When starting a contract for a map, Niehues personally shoots aerial photographs and panoramas of the site in order to choose the best angles to put down to paper with a pencil. Since its invention, Google Maps has also enhanced his work, but he insists on exploring the mountain with his own eyes. In this explanation, he suggests that the typical architectural rendering, something that gives insight into what’s to come, is valuable but isn’t as alluring as his final product: the painted vision of the trail. Through his own observant eye and ability to translate by hand the details of nature into a design, the mountain is brought to life on paper and helps skiers understand the terrain.